Ruth, a beloved matriarch, is in the later stages of dementia and beginning to slip away. When her daughter, Bridget, receives a call to say that her mother has wandered off in the middle of the night, she must return to her childhood home to help her brother persuade their intransigent father to seek help for his ailing wife. It is time to move forward and make peace with the past - but none of them are ready. 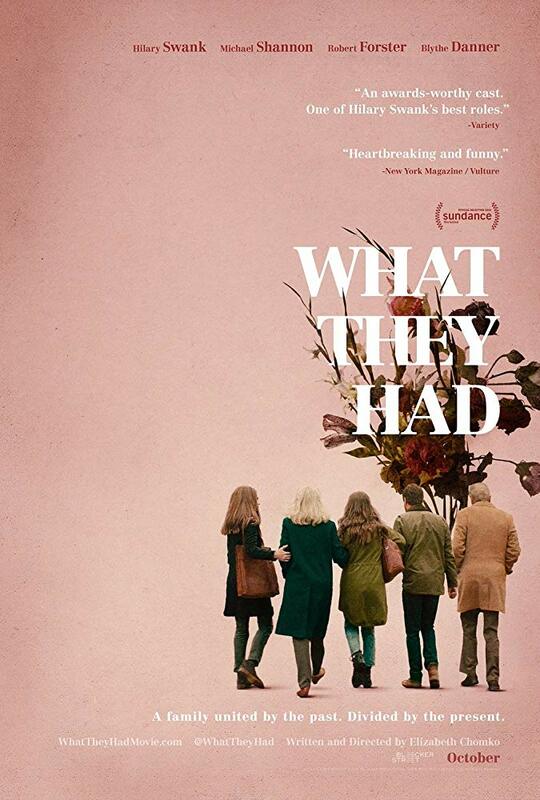 What They Had features an outstanding cast with performances to move cinemagoers to both laughter and tears.